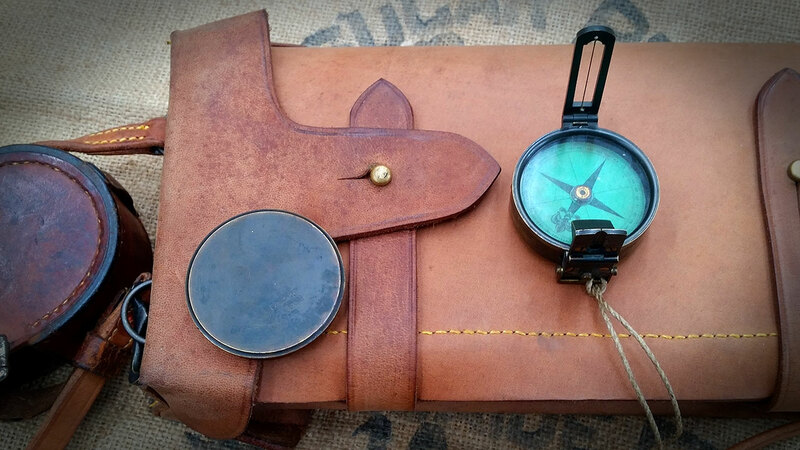 Show us your favourite compasses and land navigation gear! 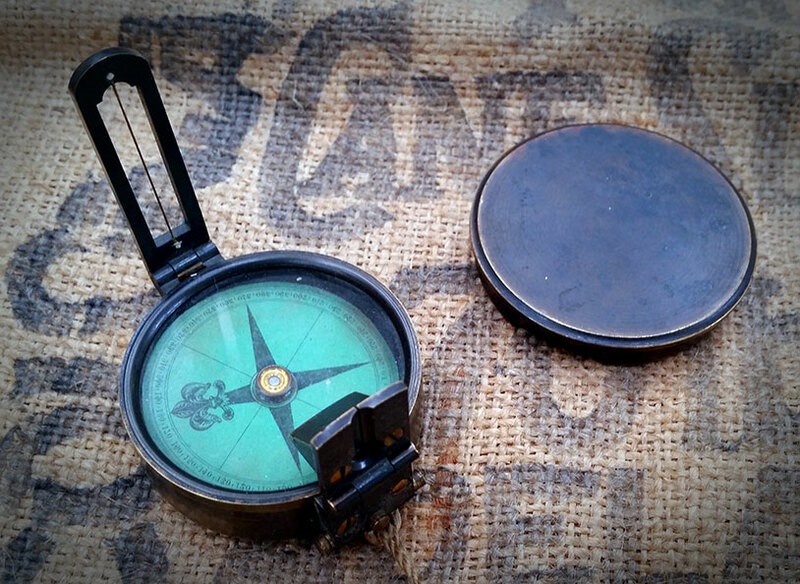 Oxide brass hunter-cased pocket compass with a Royal Geographical Society patent dial made in England circa 1870s. I use it as part of my swag walking kit when I don't need o bring a full prismatic marching compass. Here's a shot of my compass from a navigation article I wrote a while back. Great article mate, and a good lookin' compass too! That compass looks like a Suunto MC2G, which is my modern compass of choice also - Great minds think alike ;-) The MC2G supposedly works anywhere in the world without too much of a needle "dip". That ability to dial in the declination is super convenient and something which has been missing from compasses until the Suunto came along I reckon. The mirror sighting is very accurate compared to a basic baseplate compass without such a lid, and the mirror itself can be pressed into service as a heliograph/signal mirror in an emergency or as a general purpose camp mirror. I've shaved using mine. 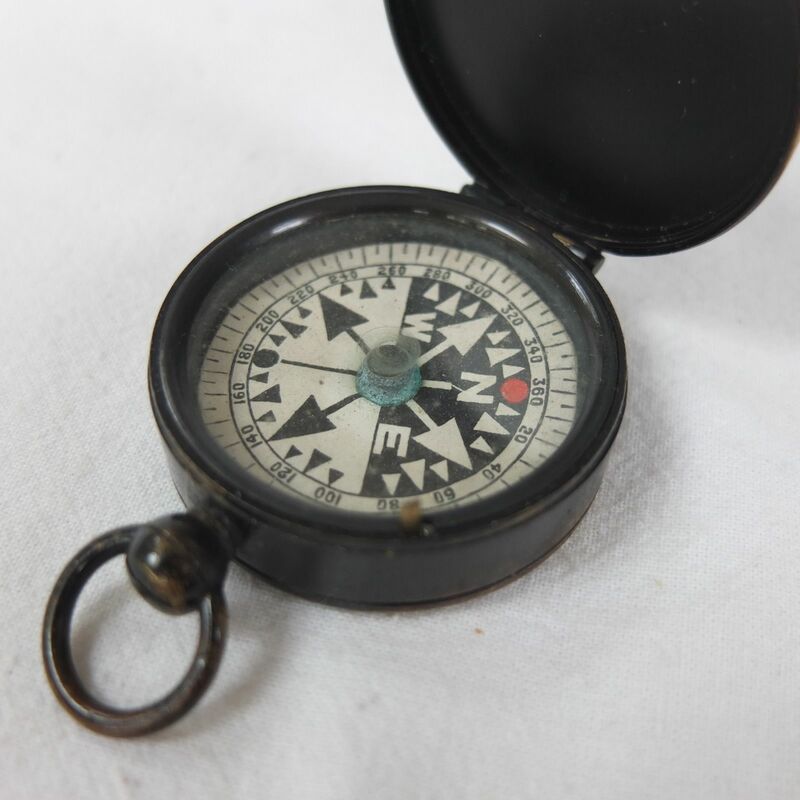 It's a British-made 1870s-1890s prismatic military marching compass. Still dead accurate. A bit of detail showing the funny green dial and the fold-up sighting vane. 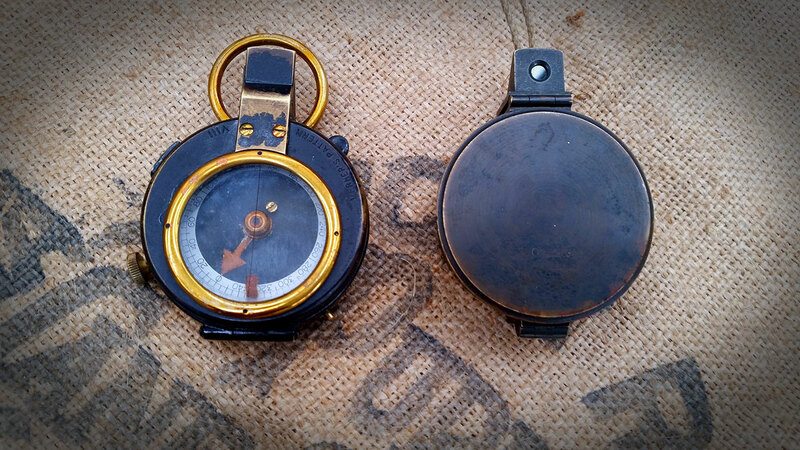 Size of the compass (right) when compared with a later 1910s era Verner's Pattern prismatic marching compass which developed from it. Wow! You have quite a collection, buzzacott!